I don't normally do posts like 'What I've Been Reading Lately' but I thought I would do it these week because it occurs to me that it's very unlikely that you'll see reviews of what I've been reading lately any time soon. This is because I have become absolutely RUBBISH at writing reviews. I'm just in one of those phases where I can hardly bear to sit in front of my computer because it just reminds me how BEHIND I am. Behind in writing reviews, behind in responding to comments, behind in responding to emails and behind in catching up with all my favourite blogs. And all that *behind-ness* makes me very unhappy. So instead of being very unhappy, I just don't sit at my computer at all. And by not sitting at the computer, I'm getting more behind in all of these things and it's horrible, vicious circle. But what can I do, eh? It's just not the right time. But maybe in a few days it will be, maybe next week, I'm not really sure. Until then, I still have dozens of other reviews I need to write, so this lot will keep getting pushed further and further down the list. So may as well talk about them now! All of last week as well as being computer-phobic, I have also been in one of my semi-regular reading slumps. I picked up lots of good books (The Diviners by Libba Bray, Black Spring by Alison Croggon, The Dark and Hollow Places by Carrie Ryan and Anne of Green Gables by LM Montgomery) and all of those books, though I was (am still am!) excited to read/re-read failed to keep my interest. My mind wandered, I couldn't concentrate. It was mostly to do with me thinking I *should* read these books, either because they are review books or for some other reason. And feeling like I *should* do something, of course, makes me *not* want to do it. So I put these books down and tried something very different. I went through my massive TBR piles and tried to find a book that I *want* to read for no other reason than to enjoy reading it, to be caught up in someone else's story and to fall in love with its characters. So over the weekend, I read the entire Diary of a Crush series by Sarra Manning. And they were brilliant. I'd heard such wonderful things already about toxic art boy, Dylan. I knew that I'd probably end up with a small crush, but I really wasn't expecting the pain in my heart that this up and down relationship between Dylan and Edie would be. OH MY GOD, THE PAIN. The two of them are such moody people, obviously perfect for each other, but holy hell, did it take them ages to work things out. Loved every minute of it though. The Diary of a Crush series was perfect reading material in order to banish my reading slump! And I now also want to go to Paris, visit lots of art galleries and take a long road trip. I wanted a book about cupcakes and hockey and figure skating. So I dove right in. 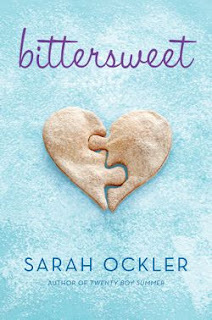 And again, it made my heart happy to read this book about a girl who's trying to figure out what's important in her life - she's figuring out what things, whether it be friends, family, figure skating, cupcakes, boys or hockey are worth fighting for. It's an adorable story and I'm glad that I read it. And what am I reading now, you ask? Today, I picked up Pantomime by Laura Lam. It's a Strange Chemistry title and I hear they are plenty of SECRETS. 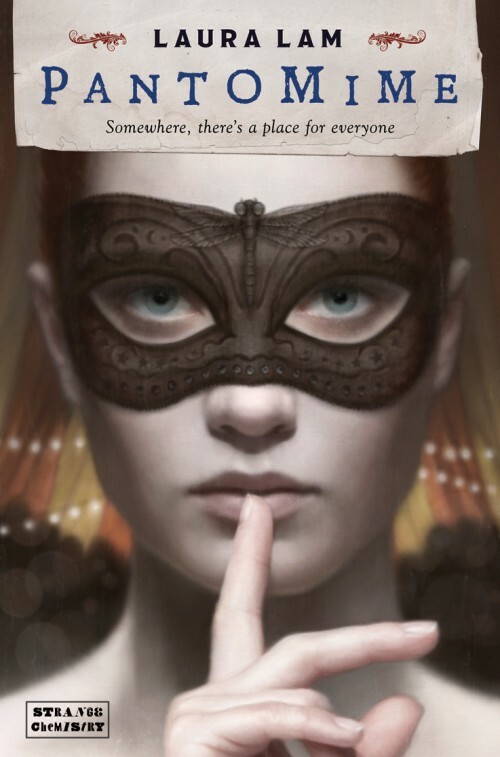 There's also magic and circuses and everyone who's read it already raves about it. I'm EXCITED. And I like having that excitement back when it comes to reading and discovering new stories. So hit me with it. What are you reading lately? Oh, wonderful post, Clover! I'm rushing to add Bittersweet to my list now. I'm really glad Diary of a Crush got you out of a reading slump. Thanks Luisa! I am trying so very hard to not to feel the pressure and to just relax about blogging things. I'll get there! I have a copy of Another Life coming my way soon and I am VERY exciting. Love Keren David's books! Great post! I really want to read Pantomime, is it any good so far? I'm currently read The Time Traveler's Wife, which is brilliant! Hi Maya - since writing this post I have finished Pantomime and can officially say that it is BRILLIANT. I seriously, seriously loved it. I'm adding the Diary of a Crush series and Bittersweet to my TBR list now. Loved what you wrote about them! And I really love reading this kind of entry. Thanks Steph :) I quite like writing posts like these, so you might see more of them in the future! Diary of a Crush and Bittersweet were both wonderful! I'm desperate to read Sarra Manning's other books. Loved Adorkable and Nobody's Girl. I need the others!! I've never read Sarra Manning, even though I think her books sound so cute! I must read one of them some day soon!